On 9 October, LOWRY sailed for Guantanamo Bay, Cuba to undergo Refresher Training at the Fleet Training Group there. Midway through the training period, on 4-5 November LOWRY visited the port of Kingston, Jamica for a rest and recreation period. Embarked for this cruise were 13 personel from the various commands of the Naval Base Guantanamo Bay, to allow them a shopping tour and a change from the tedium of the restricted limits of the Naval Base. LOWRY returned to Guantanamo early Monday morning , 6 November, and delved back into refresher training completing the Guantanamo phase on 29 November; departing the same day for the island of Culebra, Puerto Rico, where she conducted gunfire support qualification on 1 December. The weekend of 2-3 December was spent in San Juan, Puerto Rico with the crew finally relaxing during a well deserved rest. On the morning of 4 December, LOWRY was underway for her return to homeport, Norfolk, Virginia, arriving there the morning of 7 December 1967. The remainder of the year was spent in a leave and upkeep period at the Destroyer-Submarine Piers in Norfolk, Virginia. 1 January 1968 found LOWRY in her homeport completing a leave and upkeep period following refresher training at the U.S. Naval Base, Guantanamo Bay, Cuba. On 16 January, she sailed to the Carribean to participate in Operation SPRINGBOARD 1968 with various other Atlantic Fleet Units. During breaks of the rigorous exercise schedule, LOWRY visited San Juan, Puerto Rico on 23 January and St. Thomas in the Virgin Islands on 31 January. LOWRY returned to Norfolk on 7 February and the crew began preparation for deployment to the Western Pacific. A short period at sea, on 1-2 April, was utilized to perform final tests on all equipment and LOWRY sailed from Norfolk on the morning of 9 April in company with U.S.S. FURSE (DD-882) and U.S.S. WALLACE L. LIND (DD-703) with Captain K.J. Cole, U.S.N., Commander Destroyer Division TWENTY TWO embarked in FURSE as Commander Task Unit 27.5.2. In the afternoon of 11 April, the U.S.S. HARWOOD (DD-861) joined the Task Unit after departing her homeport of Mayport, Florida. The transit of the Panama Canal was completed in a twelve hour period on Easter Sunday, 14 April 1968 with a brief stop for fuel at the U.S. Naval Station, Rodman, Canal Zone. LOWRY then steamed north in company with LIND comprising Task Force Element 15.8.2.2, Commanding Officer LIND being Commander Task Element. After another fuel stop at Manzanillo, Mexico, LOWRY and LIND rendevoused with FURSE and HARWOOD and proceeded to San Diego, California as Task Unit 15.3.2, arriving there the afternoon of 22 April. Two days were spent in outfitting the ship with minor equipments peculiar to Pacific Fleet Operations and briefing the officers and men concerning the Western Pacific. On the morning of 25 April, the Task Unit sailed for Pearl Harbor, entering that port on 1 May. After a short upkeep period and additional briefings, the Task Unit, less HARWOOD (she suffered engineering difficulities), got underway for Midway Island where a fuel stop was made on 8 May. The prospective Commanding Officer, Commander Robert Lightbourn Blanding, U.S.N., reported on board while inport Midway and 5 days later, on 14 May, Commander Blanding relieved Commander William Hunter Grigg. U.S.N., in a change of command ceremony conducted on the flight deck at Latitude 15-00 N., Longitude 148-08 E. On 13 May, Task Unit 15.3.2 was dissolved and the units under command of Captain Cole became Task Element 70.8.4.2 as part of the U.S. SEVENTH Fleet. The next stop was the island of Guam, in the Marianas Chain, on 15 May 1968. Upon departure Guam the following morning, mutual services in Anti-submarine Warefare/Evasion Tactics were contucted with U.S.S. KAMEHAMEHA (SSB(N)-642). On 18 May, as FURSE made her approach on LOWRY for a personnel transfer, FURSE experienced a steering casuality and a collision occured. The FURSE's starboard anchor and bow caused considerable damage to the bulwark on LOWRY's port side from frame 75 to frame 110; superficial damage from that point (frame 110) aft to the screwguard. The shipfitters made temporary repairs to the bulwark while the torpedomen and sonar technicians freed a warshot Mk 37 torpedo from a twisted Mk 25 torpedo tube damaged in the collision. That torpedo and two suspect Mk 46 warshots from the triple Mk 32 tubes were transferred to NavMag, Subic Bay on arrival. The transit of the San Bernadino Straits was accomplished during the day and night of 19 May and at 1100 hours on 20 May, Task Element 70.8.4.2 was dissolved upon entering the U.S. Naval Reservation at Subic Bay, Republic of the Philippines. LOWRY commenced an availability at the Ship Repair Facility there; effecting permanent repairs to her structural damage and was underway from Subic Bay independently, on schedule, the morning of 25 May 1968. In the early morning of 27 May, LOWRY relieved the U.S.S. UHLMANN (DD-687) and assumed Naval Gunfire Support duties in the coastal waters of the Second Tactical Corps Area (Southern II Corps) near Phan Thiet, Binh Thuan Province, South Vietnam. LOWRY remained in this general vicinity as a unit of Task Unit 70.8.9, firing her battery of six five inch guns, supporting the Third Battalion, 506th Regiment, 101st Airborne, U.S. Army; Regional Forces of South Vietnam and the Ninth Division, Republic of Korea Forces until 0700 hours, 19 June, when she departed for Sasebo, Japan for an upkeep period. Enroute a brief fuel stop was made in Kaohsiung, Taiwan on 21 June and a three day port visit was conducted in Pusan, Korea from 24 to 27 June 1968. 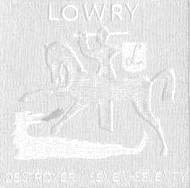 On 28 June, LOWRY departed Pusan, Korea and transited to Sasebo, Japan, arriving there on the same afternoon. Completing her upkeep period in Sasebo on 6 July, LOWRY departed there enroute for Yankee Station in the Tonkin Gulf. A brief fuel stop was made at Buckner Bay, Okinawa on 7 July and a day of ASW exercises was conducted in the Tonkin Gulf on 8 July. On the evening of 9 July, a rendezvous was effected with U.S.S. AMERICA (CVA-66) in the vicinity of Yankee Station and LOWRY commenced plane guard duty (PG) with AMERICA on 10 July as a unit of TG 77.3. On 22 July, LOWRY was detached and proceeded to Southwest Picket Station in the Tonkin Gulf where she performed ASW picket duties as CTU 77.0.4, returning to Yankee Station and AMERICA on 23 July. On the morning of 2 August, LOWRY in company with U.S.S. AMERICA (CVA-66) and U.S.S. EPPERSON (DD-719), departed Yankee Station and proceeded to Subic Bay, Republic of the Philippines for a short upkeep availability. LOWRY departed Subic Bay on the evening of 8 August enroute to Hong Kong, British Crown Colony in company with AMERICA and RICHARD K. TURNER (DLG-20) comprising TG 77.3. On the morning of 10 August, the Task Group entered Hong Kong and the crew enjoyed a rest and recreation period there until the morning of 16 August. LOWRY then escorted AMERICA back to the Tonkin Gulf and took her leave on 18 August, reporting to the Northern Sea Dragon Commander; Commanding Officer, U.S.S. BOSTON (CAG-1), CTU 77.0.1 for duty in the U.S. Navy's Sea/Air Anti-Infiltration Forces North of the Demilitarized Zone. LOWRY's duties involved the suppression of fire from North Vietnamse coastal defense batteries and the interdiction of attempts by the enemy to smuggle arms and munitions to the Viet Cong forces in South Vietnam. Completing "Sea Dragon" duties on 1 September, LOWRY reported to AMERICA and TG 77.3 until 5 September, when she reported to U.S.S. INTREPID (CVS-11) to perform rescue destroyer duties (PG) for Task Group 77.4. LOWRY was detached from TG 77.4 on 7 September to proceed to Subic Bay to effect repairs to her engineering plant, remaining inport Subic Bay from 9 to 14 September when she returned to duty (PG) with INTREPID. LOWRY was again detached from TG 77.4 on 20 September, at which time she departed for the port of Bangkok, Thailand for a rest and recreation period prior to resuming Gunfire Support Duties in the IV Corps region of South Vietnam in the Mekong Delta. On the morning of 30 September, LOWRY reported as a unit of Task Unit 70.8.9 and assumed duties as Naval Gunfire Support Ship on the morning of 1 October from U.S.S. BORIE (DD-704). LOWRY remained in this general vicinity on her final tour on the "Gunline"; supporting the Ninth Division of the Army of the Republic of Vietnam (ARVN), firing on Viet Cong staging areas in the Mekong Delta Region from 1 October until 10 October 1968 when she was relieved by U.S.S. DUPONT (DD-941). During the 1968 WESTPAC Deployment to Vietnam, while in combat environment, LOWRY was credited with the destruction of six watercraft, eight bunkers, and nineteen miscellaneous enemy structures. Forty-two bunkers, forty-one enemy structures and two watercraft were left severely damaged by her guns firing over 6100 rounds of 5/38 projectiles. The transit to Yokosuka, Japan commenced the morning of 10 October and a brief fuel stop was made at Buckner Bay, Okinawa on 13 October. The period 14-17 October was spent inport Yokosuka and LOWRY departed for Midway Island, as a unit of Task Element 70.8.2 comprised of U.S.S. HARWOOD (DD-861), U.S.S. FURSE (DD-882), U.S.S. WALLACE L. LIND (DD-703), on the morning of 18 October. This Task Unit was commanded by Captain K. J. Cole, U.S.N. Commander Destroyer Division TWENTY TWO, embarked in FURSE; and became designated as TU 15.9.4 on 20 October upon being detached from the SEVENTH Fleet. A brief fueling stop was made at Midway Island on 23 October and the Task Unit proceeded to Pearl Harbor. The period 26-29 October was spent inport Pearl Harbor and the ships of TU 15.9.4 departed for San Francisco, California spending 5-10 November inport. A one day stop was made in San Diego on 11 November and a fuel stop was completed in Manzanillo, Mexico on 15-16 November. On 15 November an Operational Readiness Inspection (ORI) was conducted off the coast of Mexico. LOWRY was at sea on 17 November and arrived in Acapulco, Mexico on 18 November. A rest and recreation period, 18-21 November was enjoyed in Acapulco, Mexico, where the great-granddaughter of the ship's namesake, Miss Ann LOWRY Brawner, visited the ship. Mrs. Brawner, commissioned the LOWRY on the morning of 6 February 1944 at San Pedro, California. This was her first visit to LOWRY since the fall of 1944. On the morning of 22 November, LOWRY, in company with the TU 15.9.4 departed Acapulco, Mexico, and proceeded to U.S. Naval Station. Rodman, Canal Zone for a fueling stop, then transited the Panama Canal on 23 November. LOWRY arrived in her homeport of Norfolk, Virginia on 27 November 1968, after steaming over 75,000 miles during an absence of almost eight months, and spent the remainder of the year undergoing a leave and upkeep period.